For more than 40 years, Roto has been creating waves with their premium quality pumps. They are a company that is all about providing localized, fluid movement solutions to work with a wide array of industries and applications, which is something they successfully do on a continual basis. From their 20,000 square metre manufacturing plant, Roto pumps are created to adhere to the ISO 9001:2000 certifications. They particularly shine in manufacturing helical rotor pumps, which comprise of a single helical rotor moving against a double helical stator to produce continual, efficient suction. 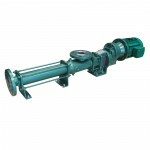 Global Pumps stocks a wide range of Roto pumps, and delivers throughout Australia. Browse through our catalogue of products today and discover our great value prices!